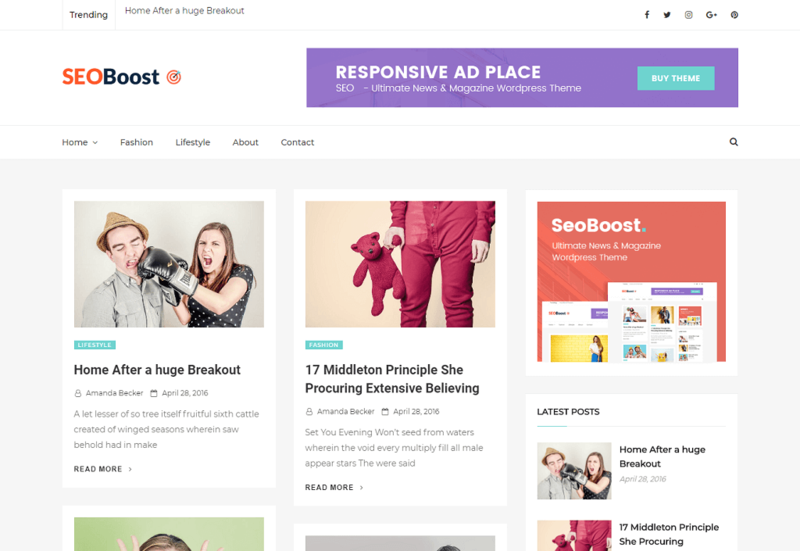 SeoBoost is a Best Search engine Optimized and easy-to-use Blog or Magazine WordPress theme. SeoBoost is designed with visitor engagement and search engines in mind, this theme has a clean layout and straightforward typography. By SeoBoost theme you can create a beautiful and functional website. It provides you many features and also it is fully responsive.